Currently the whole phenomenon seems to be reliant on eye-witness reports. Written or verbal reports are a form of evidence.., but very weak. Witnesses may be able to get some images.., which at best will contain a picture or something distant, or blurry. Even if it shows a strange craft / object.., it cannot be identified. At best.., a UFO image will show a picture of an inconclusive object. At best!! That's the best we can ever hope for. Kinda pathetic right? Aren't we all sick of hearing UFO stories? All we have are witnesses claims. All we can resort to is character profiling, the witnesses and attempt to find alternative solutions based from their claims. We would all like to see a UFO for ourselves.., so what if there was a way this could be achieved? I have been working on an idea to solve this very problem, and relies on mobile devices such as phones or tablets, which are very common these days. If someone sees a UFO.., they can notify other members nearby who can step outside and corroborate the sighting. This way we can easily debunk UFO claims before they reach "myth" status. There would be a reputation system similar to Reddit, GitHub and eBay. Phone GPS shows the users current location when sending UFO report. Piggyback off FREE Instant Messaging apps like Skype, Viber, Hangouts, KIK, Messenger, Twitter to spread messages to the public. One UFO sighting can now be corroborated by others. Members can contribute by responding to alerts and filming the sky in their area. -Search for nearby users on notification list. (E.g. within X distance of 33° 51' 54.5148'' S and 151° 12' 35.6400'' E, or if ZIP code matches. -Send alert to all nearby members. Working on allowing members to choose how they are notified. I would prefer a Viber message or Messenger because I rarely check emails.., and don't want to set up email notifications because I get heaps everyday, and would not be able to distinguish a UFO alert from others. The program would also have a feature similar to CURTIN university's "Fireballs in the Sky" app.., which can calculate the objects trajectory, and alert other members along the expected path. The UFO Tracking app will be completely free.., and open source with no owner. It will run on Android and iOS devices. Or you could just log into MUFON. That would still only give me old cases. The introduction in the OP tries to explain the futility in relying on old witnesses testimony. 1) We are limited to the witnesses word. This means wasting time determining witness credibility via assumptions and personal opinion (i.e the Phoenix residents don't know what planes are is our assumption). However this is not a solid official conclusion. 2) We only have old information to go off. This limits what can actually be achieved in regards to a conclusion. 3) People need to see it for themselves. Myself included. I cannot rely on witness testimony to solve an issue. "He said, she said" investigative techniques will never provide a definitive conclusion. Rather than waiting the next day to read about it in papers or on a MUFON website.., and the object is long gone. There is a real time chance to see for ourselves, and confirm or deny in real time. Otherwise its just going to be the same thing over and over again for another 70+ years. 3) Most likely planes or something else. The UFO phenomenon in a nutshell. Pointless and gets nowhere. Hi Dejarma. I am a true sceptic. I don't take sides.., and I question everything. Even myself. Sceptic: a person inclined to question or doubt accepted opinions. for me it depends on whos 'accepted opinions' one is looking at. I try not to discriminate or be biased. well you should do.. the problem people like your good self have is you will not commit. this is why i find it difficult to discuss this enigma with folk like you. it's a way of getting out of it if the REAL TRUTH ever really shows it's ugly head. 1/ aliens land on the planet for the world to see & tell us they are the first here which will prove every claim of alien encounter is BS. 2/ yep, we've been here for years in cohorts with world governments etc etc etc. you'll win both ways, wont ya!?! so show some balls & commit to 1 or 2== then i may show you some respect- at the moment i can't do that, all due respect. if you do have the balls i say you'll go for number 2.. Curiously, some of the most convincing UFO reports, that withstood rigorous scientific scrutiny, are in the very book that was suppose to debunk them, The Condon Report. Long ago, before Star Wars--even before Madonna! Back before the microchip and pocket PCs, when every engineer carried a slide rule on his belt, in the mid sixties. Undertaken for the government by the University of Colorado. It's what ended Project Blue Book. sorry Hammer- maybe i'm having an extra thicky thick day but what does this have to do with science rigorously scrutinising this enigma? 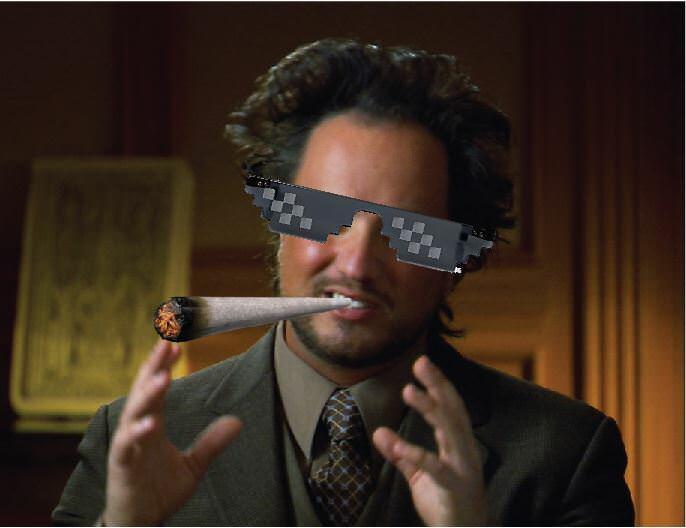 How can you go wrong, citing a scientific investigation of UFOs in a thread about UFOs? That a scientific study, orchestrated by the government, with the intention of debunking and dismissing the enigma, wound up actually confirming several sightings as genuine unknowns. Oh, for pity's sake! Just google The Condon Report and enlighten yourself. You obviously don't know far enough. I don't do this with any other subject. I.e. I don't say "Climate change is man made" and then start reading the information. I don't say "Pilot Wave theory is incorrect".., and then start reading quantum mechanics. Only one is correct. I will back whichever answer is accurate. Even if it means realizing an error and forming new conclusions. It happens in science all the time. I don't have enough evidence to form a conclusion either way. I am looking at it from a professional level. Almost like a judge. There is simply not enough evidence for either side. We must reconvene at a later date when new evidence can be provided. Not form a hasty conclusion based on little evidence.., then close the case. Just doesn't happen that way with anything else in life. Oh, for pity's sake!==The Condon Report is not a real scientific report is it!? REAL science can not & will not work with just stories-- or do you disagree?